The son of Oscar and Agnes Mae Specht, Robert 'Bobby' Specht was born October 22, 1921 in Superior, Wisconsin. His grandparents immigrated to America from four different countries and his father was a successful dentist with his own private practice. Bobby and his two brothers had a comfortable childhood, enjoying meals prepared by a live-in maid when he wasn't attending classes at McCaskill Junior High School. 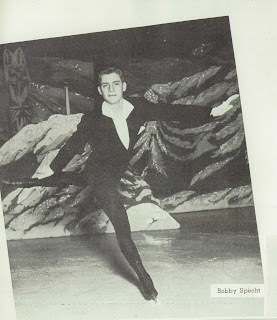 Though he often whirled around the old Curling Club rink at Belknap and Oakes, Bobby didn't start skating seriously until he was thirteen years old, when he caught the attention of coach Frank Sullivan. Under Sullivan's tutelage, young Bobby became the sixteenth person to pass the U.S. eighth figure test. In 1938, he won the bronze medal in the novice men's event at the U.S. Championships in Philadelphia. The following year he captured the novice title. In 1940, Specht took on double duty, winning the U.S. junior title and teaming up with Chicago skater Joan Mitchell in pairs. Joan Mitchell and Bobby Specht. Photos courtesy "Skating" magazine. Despite a rocky first year of competition as a pair, by 1941 it seemed the duo were hitting their stride as a team. Specht and Mitchell won the 1941 Midwestern Championships but an infected ankle kept Specht off the podium in his senior debut at the 1941 U.S. Championships in Boston. He did, however, claim the bronze in the pairs event. Patricia Alber's book "Joan Mitchell: Lady Painter" recalled Specht and Mitchell's free skate at that event thusly: "The Chicagoans hit the ice like a wildfire and, with Bobby skating through the pain and the crowd roaring, put in a performance blazing with daring and fight - yet slightly off. They left town bearing third-place trophies." The winners that year were Eugene Turner and Donna Atwood. Remember the name Donna Atwood... we'll be hearing more about her later. Donna Atwood and Bobby Specht. Photos courtesy the 1953 Ice Capades program. In 1942, a knee injury ended Joan Mitchell's career and Bobby turned his attention back to singles skating. He won the Midwestern senior men's title ahead of Minnesotans Arthur F. Preusch II and Robert Premer. At the 1942 U.S. Championships in Chicago, he completed his triple crown to win a senior title to go along with his novice and junior ones. Even more impressive is that through all of this, he was at university studying architecture. 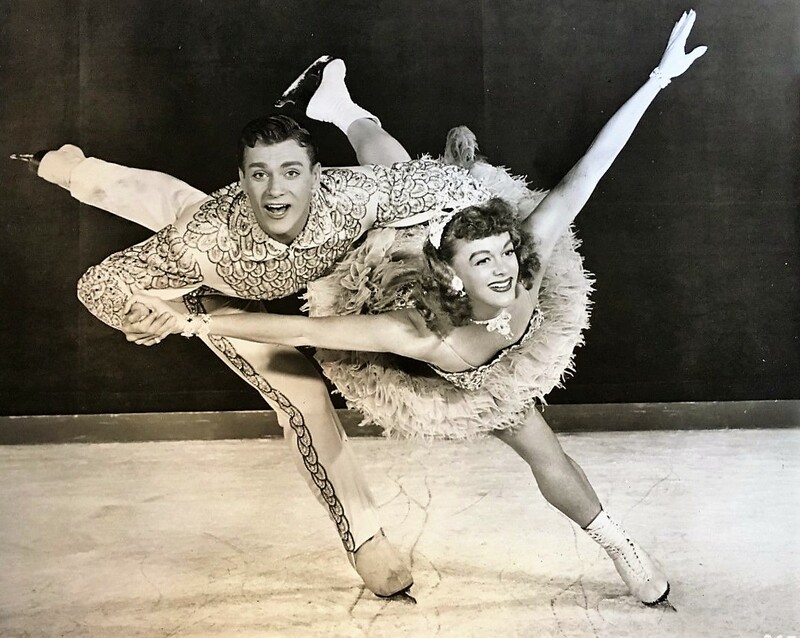 With the World Championships put on hold by the ISU in the height of World War II, Specht opted to turn professional, tour with the Ice Capades and enlist in the military. The November 2, 1942 edition of "The Pittsburgh Press" talked of Specht's enlistment in the U.S. military: "While appearing here with 'Ice Capades of 1943', Bobby enlisted in the U.S. Army Air Corps, and was sworn in. 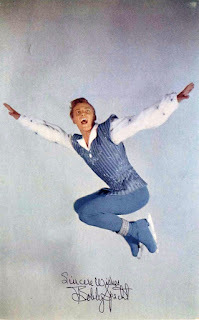 He was told that he wouldn't be called to report for duty for four or five months, so in the interim he will continue to appear with Ice Capades in its cross-country tour." During this period, he and his mother moved in with professional skating star Belita Jepson-Turner, whom the newspapers reported he was dating... although that wasn't exactly the case. In a March 2016 interview, Bob Turk recalled, "Bobby was very, very gay and never tried to hide it. He and Alan Konrad were sort of lovers for a time, but he never really had a lover until the end of his life." 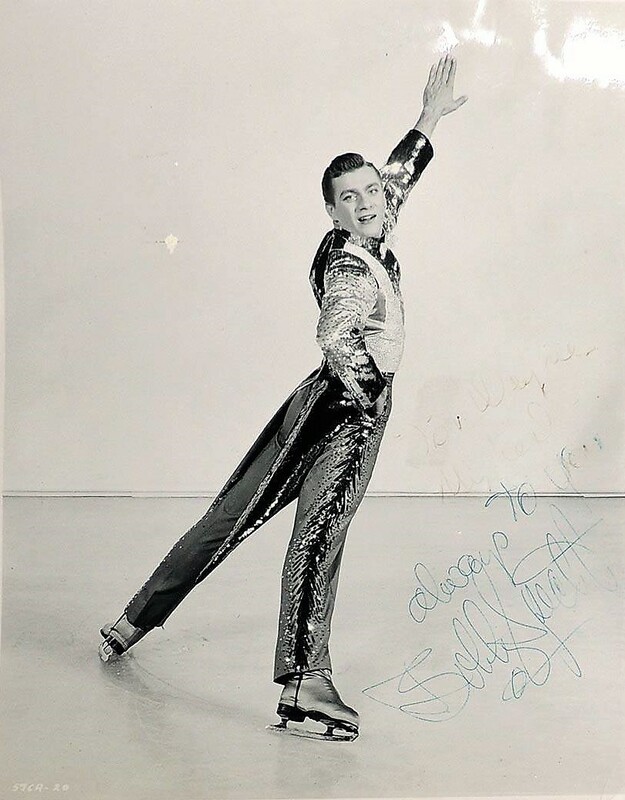 After being discharged in the army in November of 1943 due to rheumatic fever, Bobby returned to the Ice Capades and again did double duty, headlining both by himself and with a new pairs partner... his former competitor Donna Atwood, who turned professional at the ripe old age of sixteen at the onset of the war. The two were paired by tour owner John H. Harris and starred together in ice ballets adapted from "The Sleeping Beauty" and Sigmund Romberg's "The Student Prince". They made the cover of "Life" Magazine and appeared on "The Colgate Comedy Hour", "The Ed Sullivan Show" and "The Steve Allen Show". Bobby even lended his visage to a newspaper advertisement by The Thomas Scalp Specialists on men's hair loss. During this period, Bobby was known as the host with the most. Whenever Ice Capades would come to Beverly Hills, he'd rent a house and throw lavish parties, attended by a who's who of the figure skating world. They'd often last until three or four in the morning. Left: Bobby Specht and Sandy Culbertson in John H. Harris' production of "Snow White". Right: Autographed photo of Bobby Specht. In short, Bobby was kind of a big deal in skating in the fifties. When Donna Atwood retired from professional skating to raise her children in 1956, Bobby soldiered on and continued to skate with Ice Capades and club carnivals until 1964, when he broke his foot. He remained with the tour for a time, taking on the roles of the producer and publicity director. In these capacities, he worked with Bob Turk, who was once his understudy. Turk recalled, "Bobby didn't have any delusions of grandeur... nothing. He was the sweetest guy. When we were younger, he and I used to act like crazy fools. He called me Turkey." Bobby also coached skating for a time but later turned to the bottle heavily and lost his vision. Bob Turk recalled, "He could have had eye surgery and he didn't and they just found him down on the floor." Bobby's death at the age of seventy seven on January 11, 1999 in Palm Springs, California devastated many in the skating community. 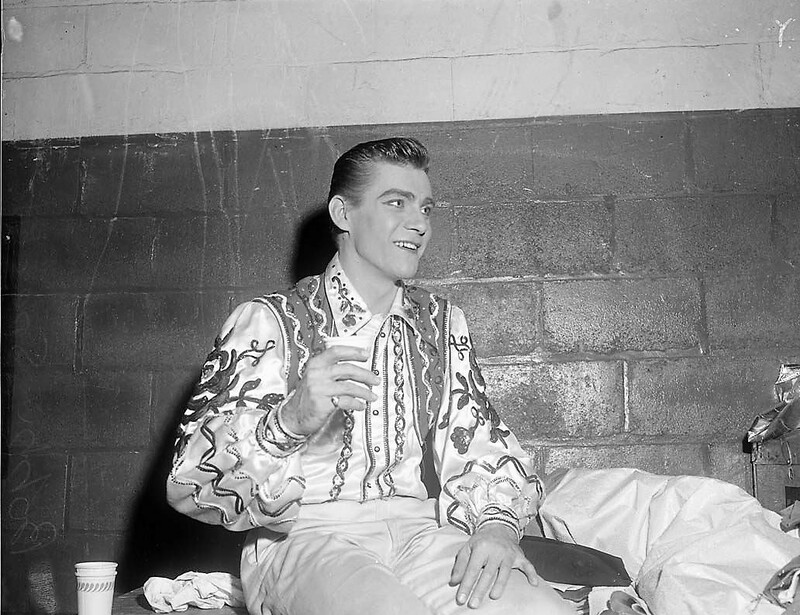 His legacy lives on through the work he did in giving back to professional skating, which had given him so much during his career as an Ice Capades star.